In 2015 a group of 4 Barf runners made a group attempt at completing the DRR with two of them successfully completing it. Other club members and friends helped may this possible. Full details of the 24hour challenge route are available here. In May the H&D Loughshannagh Horseshoe is on Thurs 19 May 2016 7:30 pm. The next race is the H&D Donard (C) on Sat 28 May 2016 2:00 pm. The weekend between Sat 21 & Sun 22 May seems to be a possibility for the DRR and there will be a full moon. This is not a race. The intention is to run/walk the route at the same pace as last year aiming for a 23hr completion. Already there are about 10 runners interested in making this attempt but more are welcome provided they are capable mountain runners. The intention is to start at 3.00am on Saturday 21st May. 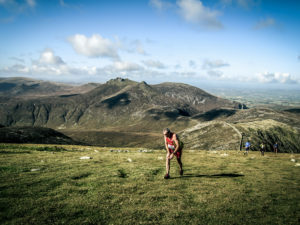 Runners can meet at Donard car park and give kit and refreshments to the support teams who will meet the runners at 4 points along the route. We will need people who can offer to take 3 distinct roles during the attempt. 1. Runners who will work as a group running/walking at the 23hr pace and complete the full round. Lightweight walking poles recommended. 2. Support runners who will run/walk one or more sections of the round must be capable of helping carrying kit, supporting and encouraging plus taking photos etc. We may need some supporters who know the routes in the dark. If runners drop off the pace the support runners will be there to offer assistance. 3. Logistics/refreshments support to meet the runners and provide transport about the 5 stages. Without these people the event won’t succeed. The attempt will be weather dependant. The smaller cottage at Happy Vale Cottages (close to Happy Valley) has been booked as a support base with plenty of parking and showers available. Everybody who was involved with the 2015 attempt found it a very enjoyable and rewarding day. To date there have been 5 completions of the DRR. The intention on this occasion is to at least double that. Please email g_kingston@hotmail.com if interested in joining this attempt in any of the 3 roles. 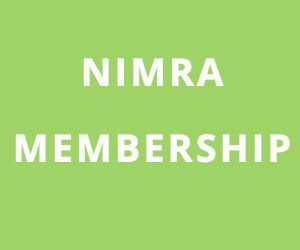 What a weekend for Nimra Runners!